Downtown Winooski. Residents in Winooski will vote on Town Meeting Day for a bond to build a new parking garage. City officials says current parking is near capacity and more is needed as more development comes to downtown. At a time when many communities in Vermont worry about declining populations and losing young people, Winooski bucks that trend. The population is growing and the city’s median age is about 31. On Town Meeting Day, residents will vote on building a new parking garage in Winooski’s burgeoning downtown. The proposed garage and the hotel that’s expected to follow are just the latest signs of Winooski’s upward trajectory. Even though Winooski is not a huge city — it’s only one and half square miles — there’s a lot going on. Bars, restaurants and small shops are tucked into buildings all around its densely developed downtown. One of the newer spots, just off the traffic rotary, is Sweet Babu — a small, cozy bakery and cafe with big windows looking out at an old mill building. Shana Goldberger started Sweet Babu as a farmer’s market stand and last June moved into the current space. 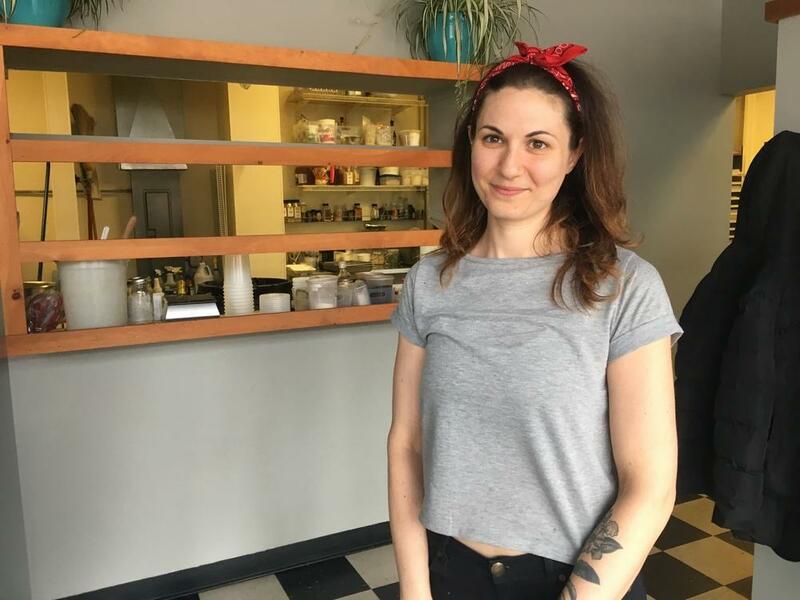 Shana Goldberger's bakery and cafe, Sweet Babu, recently expanded its hours and is now open for weekday lunch. Goldberger said she thinks it's busy enough in Winooski to support the extra hours. Goldberger fell in love with Winooski when she moved to Vermont about five years ago. 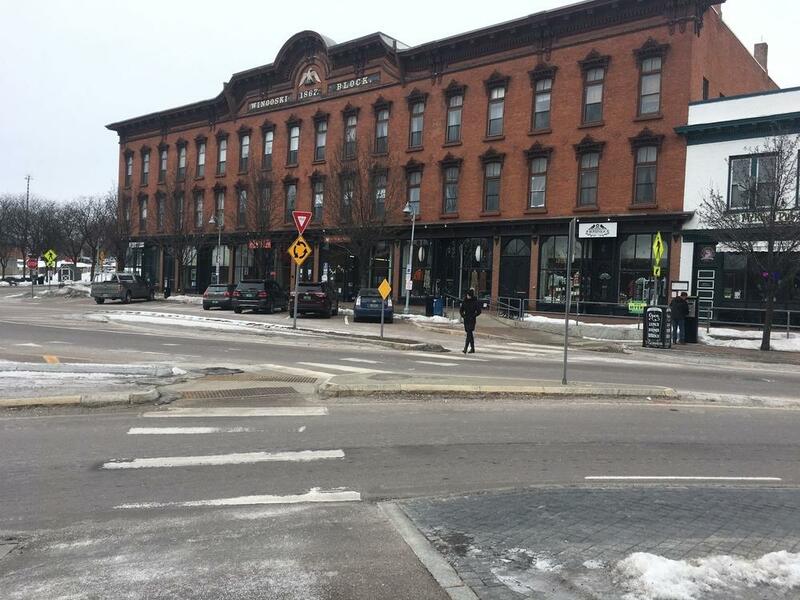 What drew Goldberger to Winooski is what’s draws many people to the city. The restaurants, the bars and music scene — plus the walkability and small community vibe. This Town Meeting Day, Winooski residents are faced with a good problem. There’s such demand, city officials say a new 300 space garage, costing $9.7 million dollars, is needed. Part of that demand is fueled by a planned downtown hotle. In general, the city has seen steady growth in its grand list, according to City Manager Jessie Baker. Winooski is often seen as the cheaper alternative to the nearby Burlington, but now some neighborhoods in the Queen City are cheaper. Winooski's downtown is densely developed with restaurants, bars and stores tucked into buildings around the traffic circle. According to the Realtor.com, the median home price in the Onion City is $299,000 — that’s up about 22 percent in three years. Erin Dupuis, who works for Flat Fee Real Estate, said beside prices going up, houses do not stay on the market long. “I mean there's people if they don't see the listing the first day there's a chance they're not going to have an opportunity to write an offer,” she said. Some larger apartment complexes and developments are starting to creep out from the downtown core. City Manager Jessie Baker. Baker says Winooski steadily added properties to its grand list over the last few years. The city streamlined the permitting process in specific, highly trafficked areas. The idea was to allow some larger developments, but not to let it sprawl too much. For developer Nate Dagesse, Winooski has it all. “We’re at a point where people are drawn to Winooski because of its hip, urban downtown, the restaurant and music scene, the walkability, affordability and excellent location along the Winooski River,” he said. About two years ago, Dagesse built City Lights - a 27-unit residential building that also had office and retail space. Before the building opened, it was full leased, Degesse said. Today, rentals there start at $1,550. A few blocks away from where the new garage would be built, there’s a handful of people at Sweet Babu enjoying coffee and pastries. Goldberger said she spent the last two months renovating the space and now she’s expanded hours to serve lunch on weekdays. Archeologists have found one of the largest Native American dwelling sites in Winooski. It was once home of Ira Allen. Woolen mills proved a steady source of employment in the city for over a century. And for a time, there was a fleeting possibility that the city would be domed. Rutland Mayor Christopher Louras says his efforts to create a refugee resettlement community in Rutland are morally and economically based. Rutland's population is declining and aging and Louras says young refugee families are hard working, entrepreneurial and will bring much needed diversity to the city. Critics aren't convinced and many worry that refugees will end up being a burden on taxpayers. 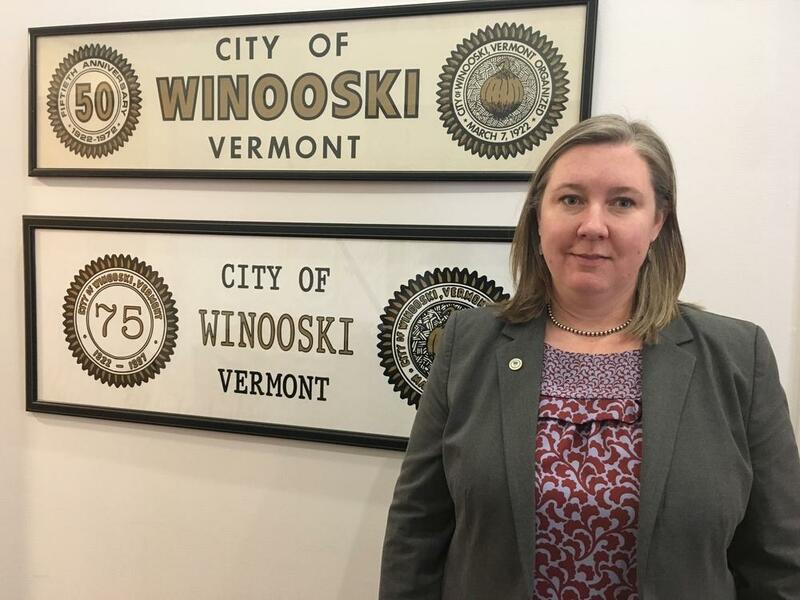 A good place to examine those concerns is Winooski, which has a large concentration of foreign-born residents.